We’re moving on! A few weeks ago, we boarded a plane to La Palma (Canary Islands, Spain). Since then we’ve been to El Hierro as well as Tenerife, from where I’m currently working and updating this blog. We plan to see Gomera, Lanzarote and Gran Canaria in the near future. So if you’re a fan of the Canary Islands please keep an eye open for more photos and stories to come. 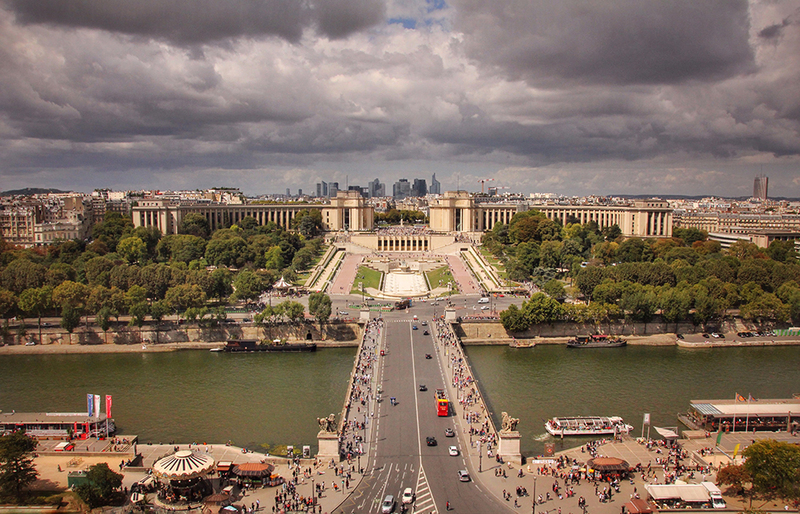 For now I wanted to say good bye to Paris and France, which was our home for the past 3 years. It’s been fun (most of the time)! I can’t help it, but I always feel like the architect of the Tour Montparnasse (the black tower) photobombed Paris’ skyline. 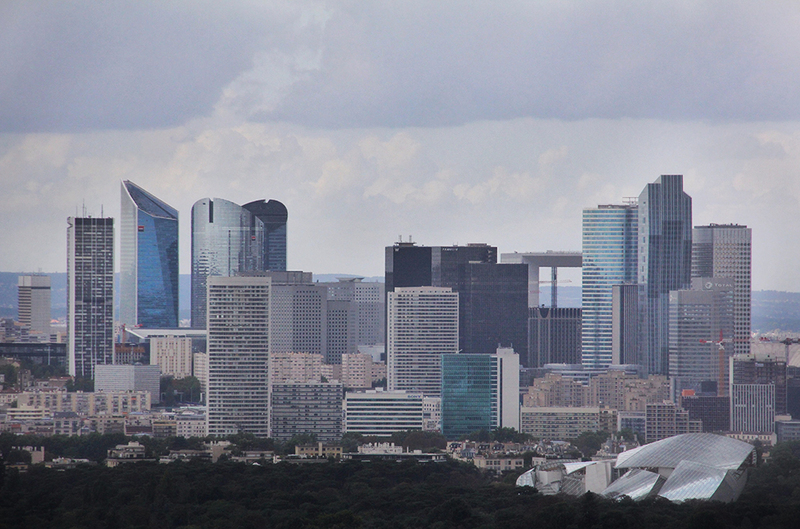 …zooming in on the office buildings of La Defense with the Fondation Louis Vuitton in the foreground. 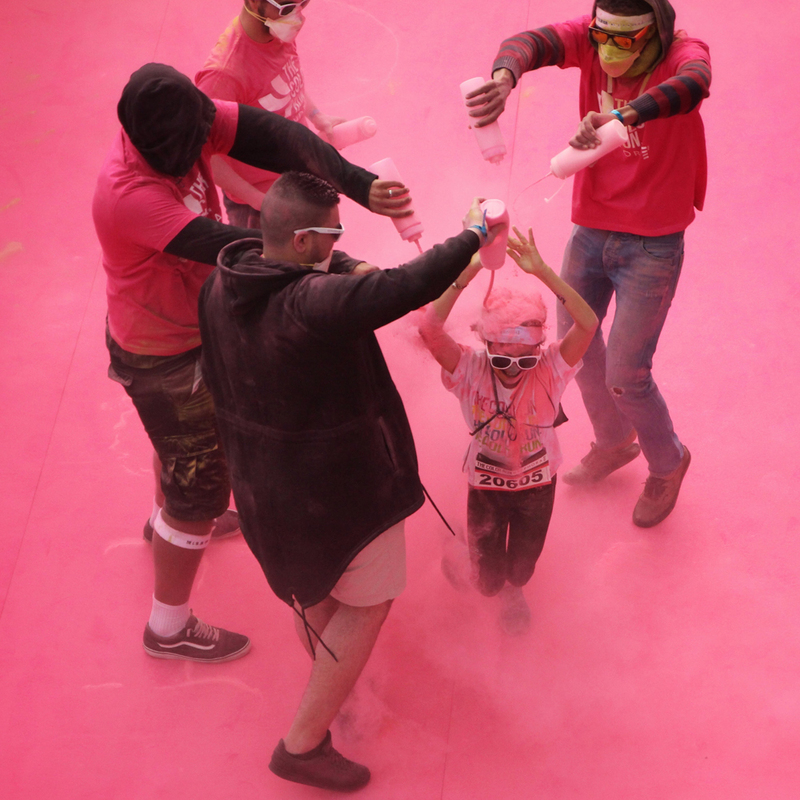 The Color Run is a 5 km fun race, where the participants (and photographers) get sprinkled with a different color powder after each kilometer before ending at a giant party. The race is neither timed, nor do participants actually need to run. Everyone is free to walk, crawl, jump, etc. 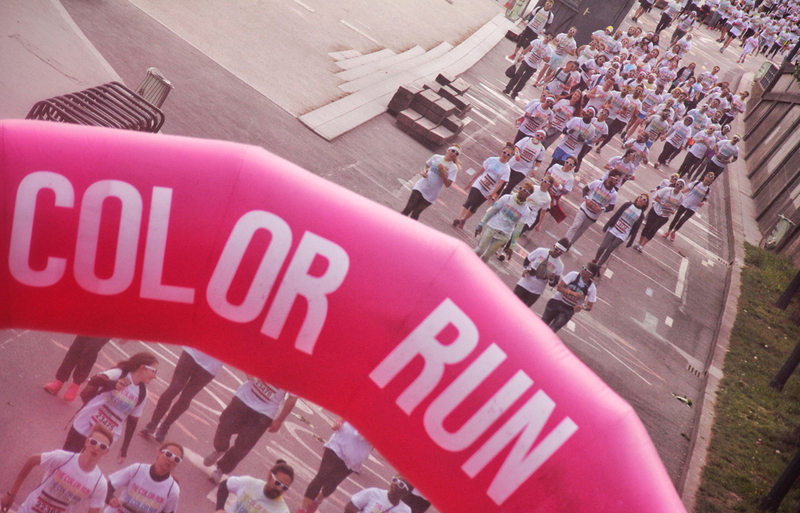 The aim of the Color Run is to promote health and fitness in a colorful way. 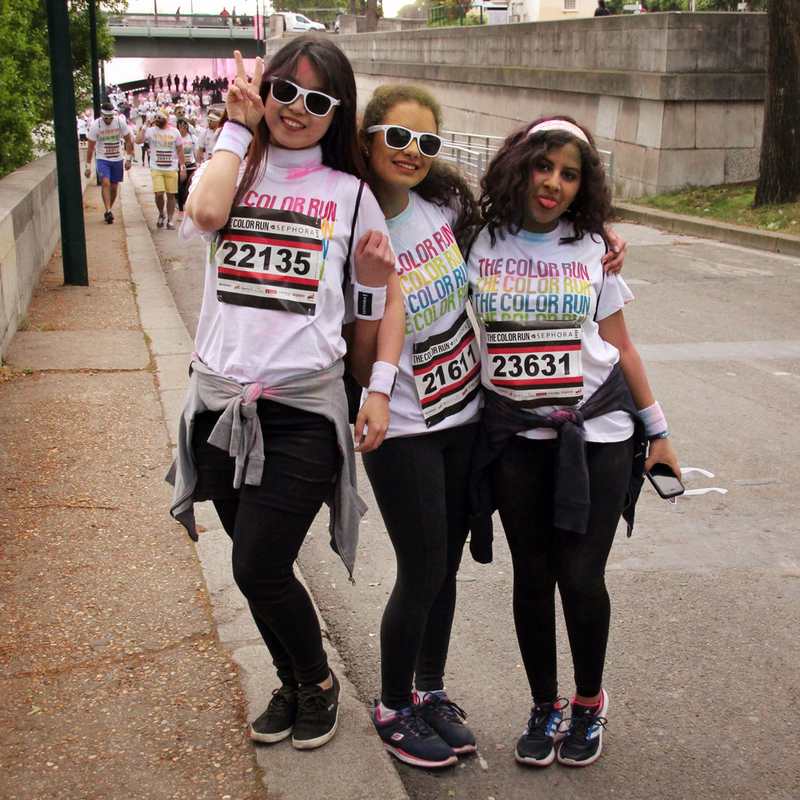 Since I fully support ideas that get people out of their houses and up on their legs, I had a closer look at this year’s Color Run in Paris (April 16, 2017), specifically at the pink color zone. 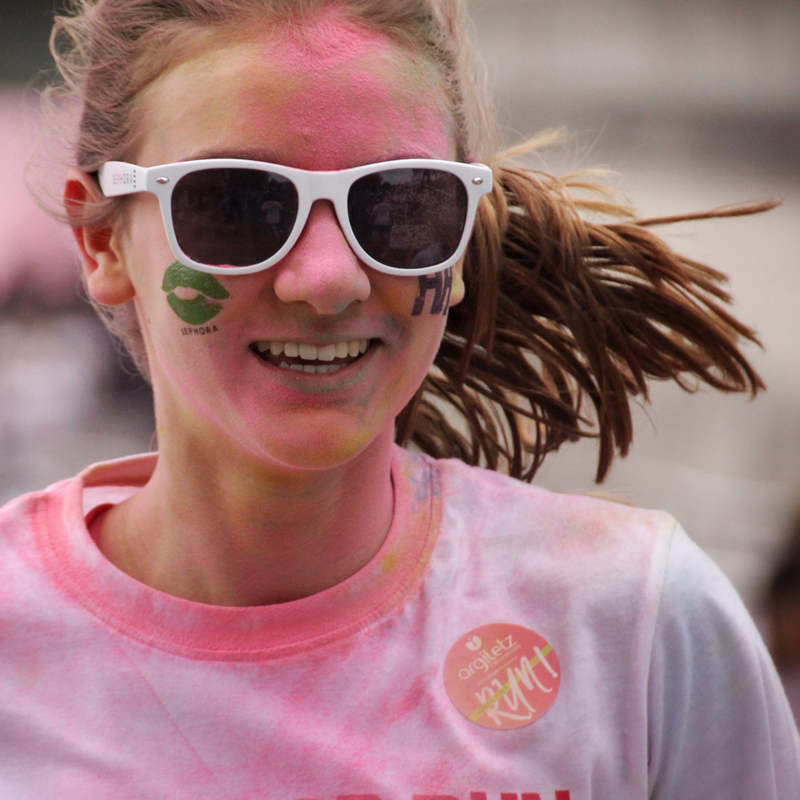 Here is what I learned while looking at “the happiest 5K on the planet” through my camera lens. Sure, it is fun to be enveloped in 💙, 💚, 💛 and 💗 powder clouds while seeing bright smiles on all the faces around you. But if you don’t protect your camera, you will quickly turn from 😊 to 😢. To prevent any gear damage, you actually don’t need any expensive equipment or camera cases. A couple of ziplock bags and tape will do. I ended up following more or less the instructions given in this video to wrap my Canon 60D and my 18-250 mm lens in a freezer bag, sealing it off with some gaffer tape. While wrapping, keep in mind that you still need to be able to control your camera, including the change of settings and zooming in and out. You also want to keep your viewfinder and preview screen free for a quick photo check during the race. That being said, it will be easier to do all of this if you use a “plastic tunnel” in which you can also wrap your hands rather than choosing a plastic bag which is closed on one end. 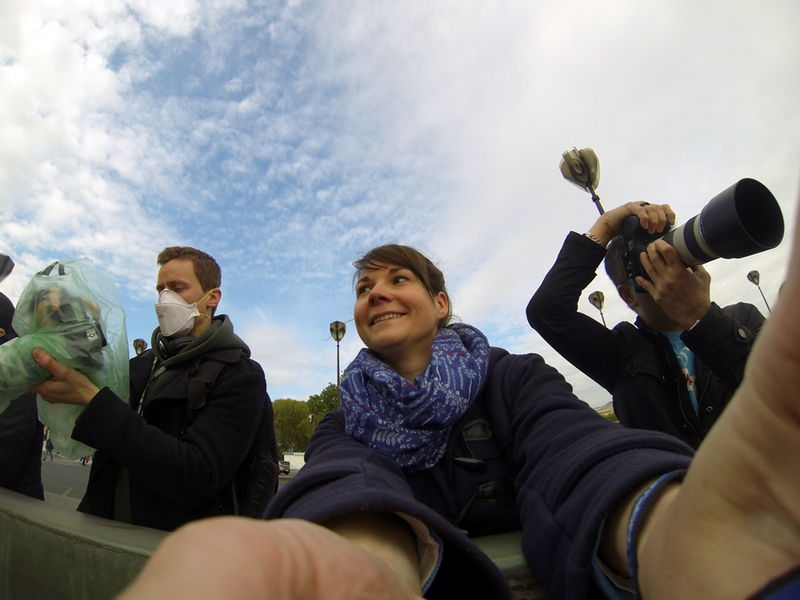 To complete your protection, get yourself a cheap filter that you can place on your lens and use your lens hood. It goes without saying that a waterproof case would be the best protection for your DSLR. I only have a waterproof case for my GoPro. 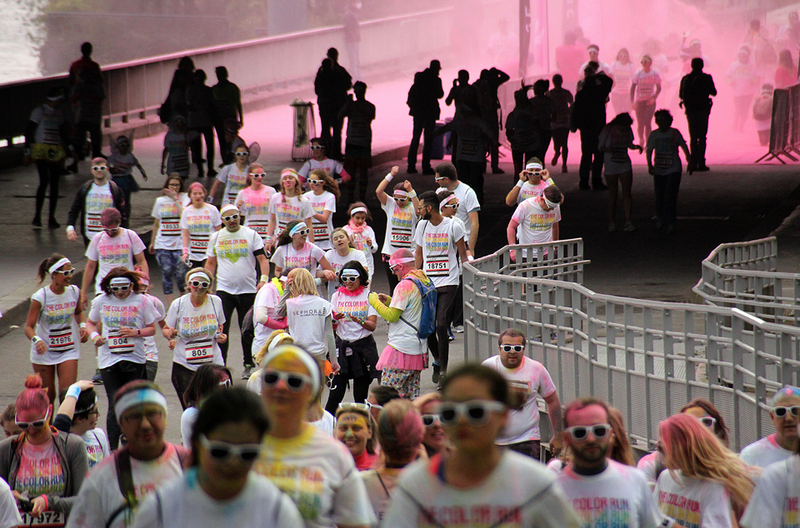 So this one was my camera of choice when photographing among the runners and volunteers who threw the color in the air. Now that you got your cam in the clear, protect yourself and your clothes. For obvious reasons, dress in an outfit that can get stained 👕. While the color thrown on runners is usually not hard to remove, I personally wouldn’t risk to ruin my latest shopping treasures 👗. 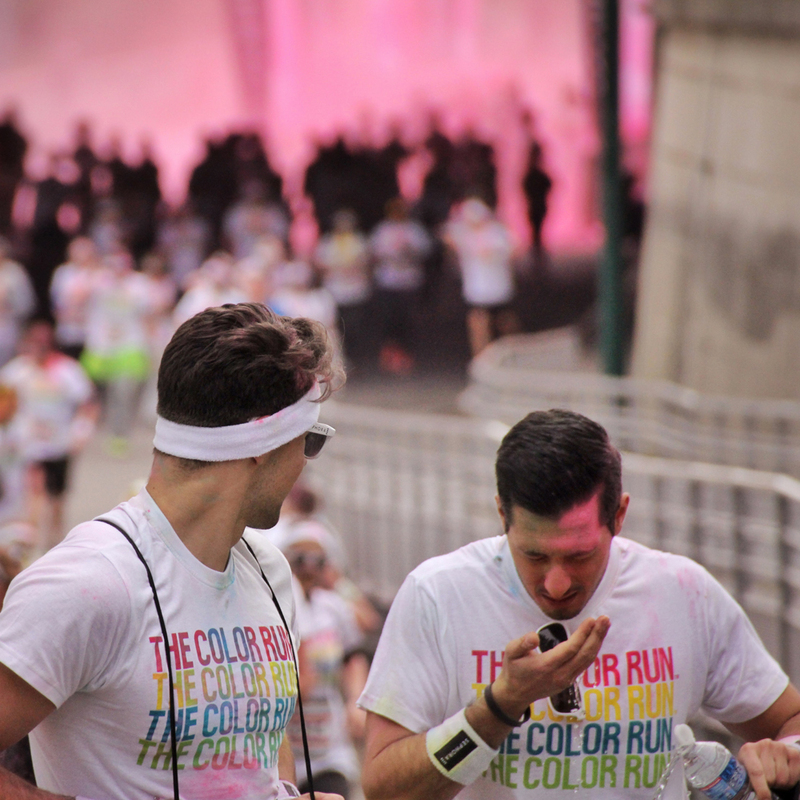 And if you plan to photograph the complete race in one of the color zones, right beside the volunteers throwing the color, consider wearing a face mask over nose and mouth to avoid breathing in too much of the colored powder over a longer time 😷. 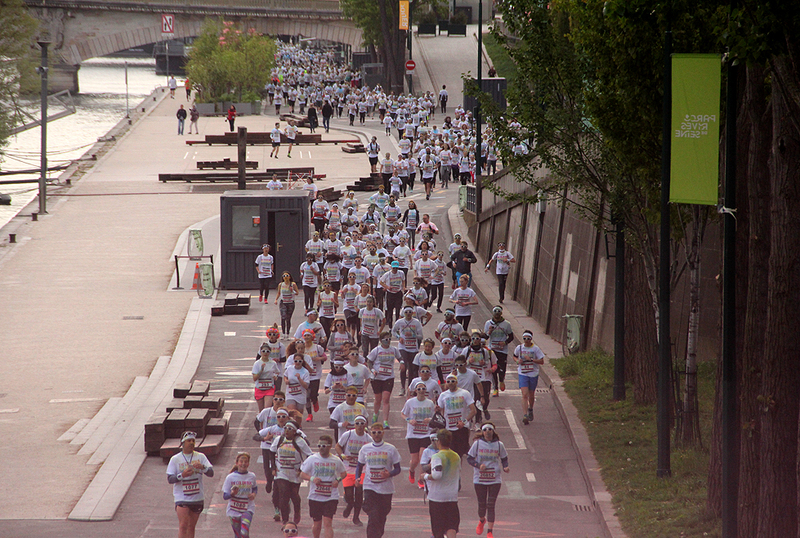 The participants of the Color Run will start the race without color. Forget the starting location for fun photos. The first color zone is set up after kilometer 1. The second after kilometer 2, and so on. 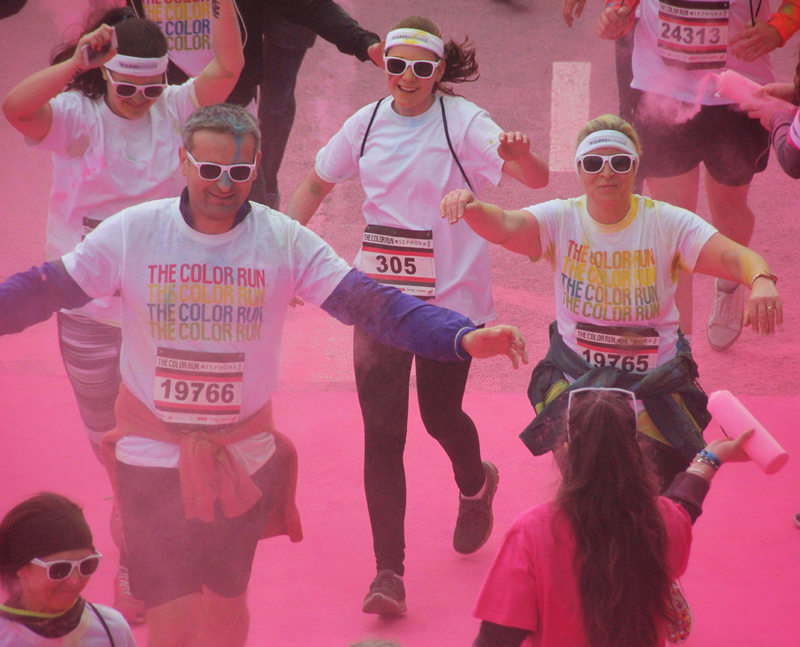 On the official Color Run website you can probably find details and a map to know in advance were the course leads and color zones are set up. The finisher zone is for participants only. So if you really wanted to photograph there, you would need to buy a race ticket and run, walk, jump there. I recommend the 4th color zone though. 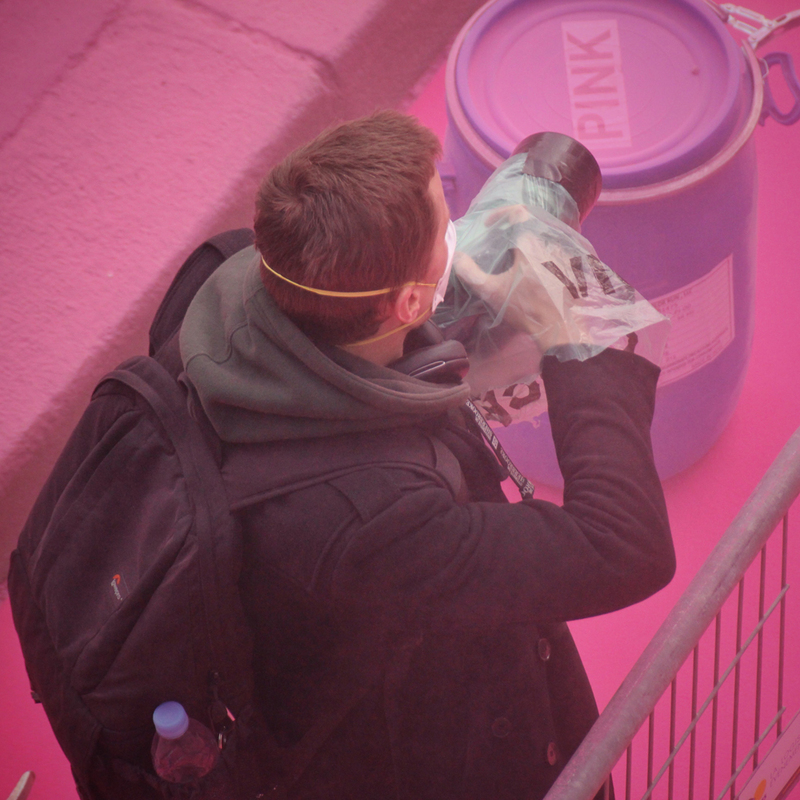 You should have easier access as photographer and the participants will have been sprinkled in at least 3 colors already. Since it’s no professional race, many participants are actually no longer running at this point, but they will stop to take selfies 🤳 or ask photographers nearby to take their group photo 📷. This happened to me several times, even though I wasn’t an official race photographer. 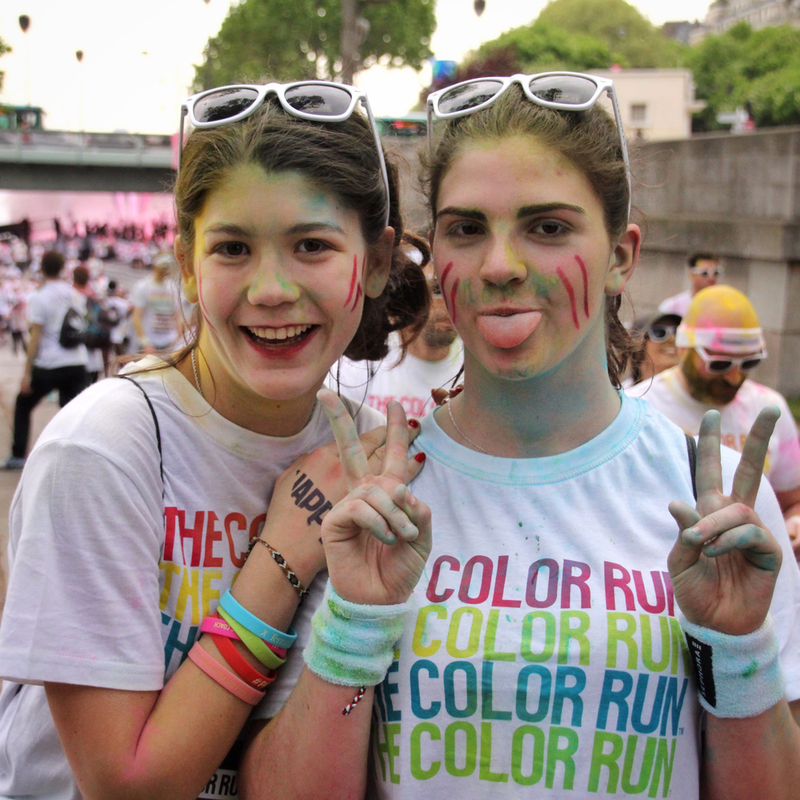 Normally I would also recommend to get in touch with the Color Run team on Social Media, but I was disappointed by the answer of the team behind the French account as they couldn’t give me good advice with regards to photo locations in Paris. Feel free to try anyway. You might get more lucky 🍀. Once you got all the colorful shots you wanted, start spreading your images on Social Media immediately and over a course of 2 or 3 days after. Anything lasting longer will stay unnoticed. 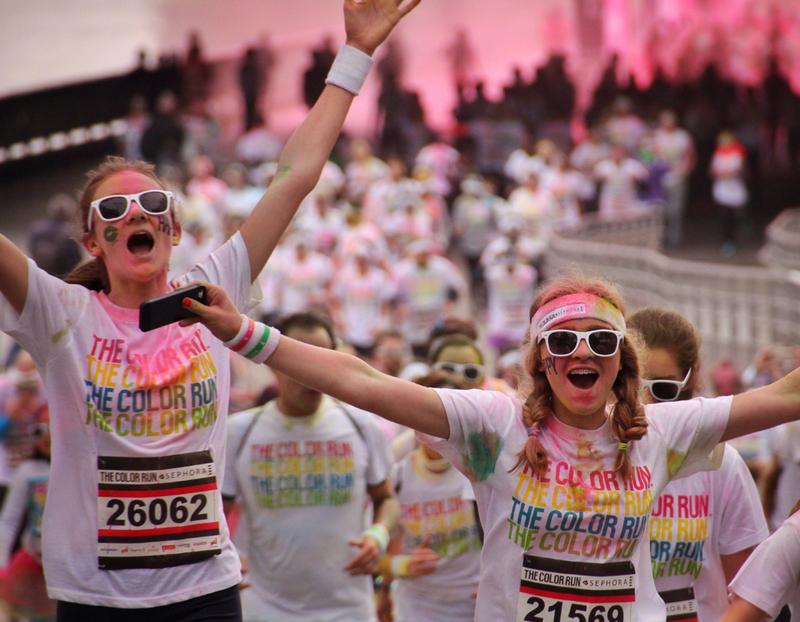 For a chance to get some extra exposure on the official Color Run accounts tag your content with #colorrun #colorrun[cityname] #colorrun[year] #happiest5k. Canon EOS 60D, 17mm, ISO 3200, F5.6, 1/160 sec. Location: Notre Dame, Paris, France. You have to imagine the Parc de Maisons-Laffitte like an oasis in the concrete jungle of the Paris suburbs; an oasis to not simply stroll, picnic or play in — it’s an oasis to live in. Therefore, its preservation must be ensured. A municipal association is deciding about each single construction project that could change the look of the park. You want a larger garage? Get the association to approve. You want to build a house? Get the association to approve (tough one!). You want to open a shop or restaurant? Deal with the immediate rejection. 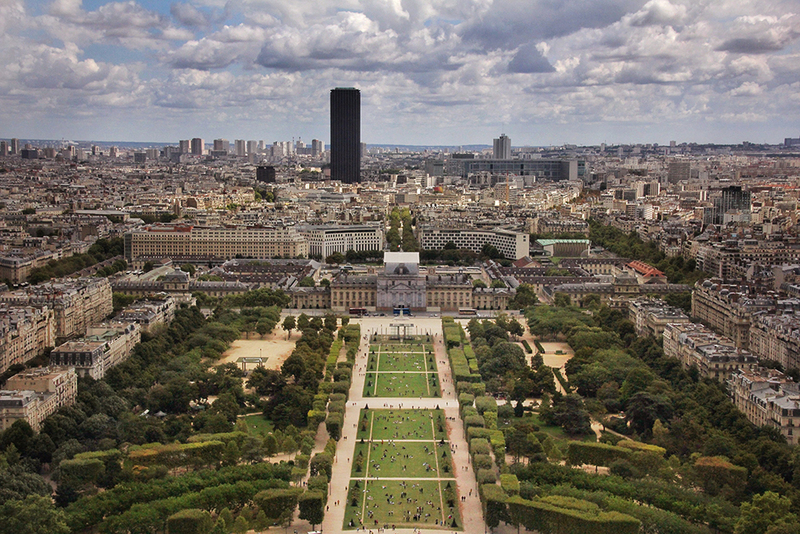 There are no commercial buildings in the Parc de Maisons-Laffitte, despite of its size: 7km². 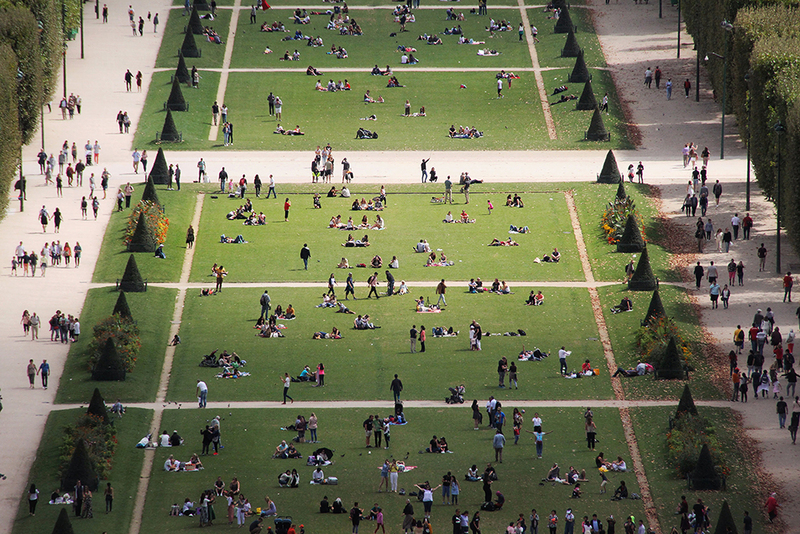 The park makes up for 60% of the surface of Maisons-Laffitte, while 40% of the city’s inhabitants live there. Those 60% of Maisons-Laffite are a haven for castle lovers and horses (they have priority at all times and even better walkways than pedestrians do). The park is wild, lush, full of trees and birds (I have seen parakeets here) and undergoes an ever changing floral look. Maisons-Laffitte Parc is a great place to be for nature lovers, who seek a remote spot for living while being only a 20 minutes train ride away from Paris. Have a look at this city map, which puts the size of the Parc de Maisons-Laffitte into better perspective. Canon EOS 60D, 50mm, ISO 400, F16, 1/500 sec.